I originally learned search engine optimization (or “SEO” for those of you in the know), as a consequence of wanting to promote my very first website, back when the internet was just getting started. By the time Google had emerged a clear market share winner, I had already disappeared deep into that vast theoretical mist called SEO. 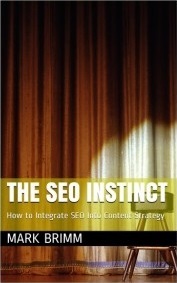 I’ve always likened SEO to kung fu (another one of my lifelong loves) as best working analogy. I don’t waste time pontificating or trashing others online via various obscure blogs, however–I actually do it for paying clients.